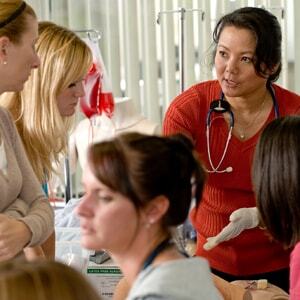 Read on to discover why there is a shortage of nurse educators, and learn what kind of career you can have with your master’s in nursing education. 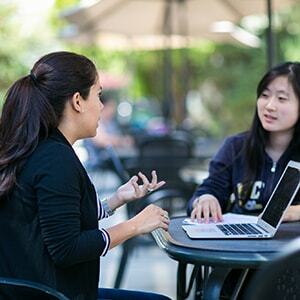 Two online information meetings for the B.A. in Criminal Justice program will be held on December 13th at 12 p.m. and 6 p.m. Contact the Graduate and Professional Center for more information. M-Th 8:30 a.m. - 6:30 p.m., Fr 9:30 a.m. - 4:30 p.m.
Online information meetings for the Master of Business Administration and Master of Business Management programs will be held December 12th at 12 p.m. and 6 p.m. Contact Graduate and Professional Admissions at (626) 815-4570 for details. Two online information meetings for the B.A. in Psychology program will be held on December 11th at 12 p.m. and 6 p.m. Contact the Graduate and Professional Center for more information. M-Th 8:30 a.m. - 6:30 p.m., Fr 9:30 a.m. - 4:30 p.m.
An information for the M.S. in College Counseling and Student Development (CCSD) program will be held December 11th at 6 p.m. in the Felix Event Center VIP Room. Contact Graduate and Professional Admissions for more information and to RSVP. Two online information meetings for the Bachelor of Business Administration program will be held December 10th at 12 p.m. and 6 p.m. Contact the Graduate and Professional Center at (626) 815-4570 or gpc@apu.edu for details. Two online information meetings for the Master of Fine Arts (MFA) program will be held December 7th at 12 p.m. and 6 p.m. Contact Graduate and Professional Admissions at (626) 815-4570 or gpc@apu.edu for more information and to RSVP. Two online information meetings for the B.A. in Criminal Justice program will be held on November 19th at 12 p.m. and 6 p.m. Contact the Graduate and Professional Center for more information. M-Th 8:30 a.m. - 6:30 p.m., Fr 9:30 a.m. - 4:30 p.m.
An information for the M.S. in College Counseling and Student Development (CCSD) program will be held November 19th at 6 p.m. in the Felix Event Center VIP Room. Contact Graduate and Professional Admissions for more information and to RSVP. Nurses are in high demand. 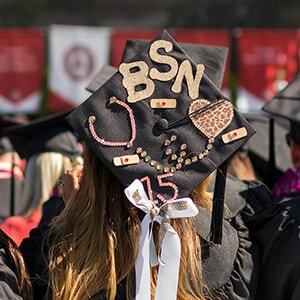 Thankfully, RN to BSN online programs can help you advance your career (and salary) while opening doors in the healthcare field. Two online information meetings for the Bachelor of Business Administration program will be held November 15th at 12 p.m. and 6 p.m. Contact the Graduate and Professional Center at (626) 815-4570 or gpc@apu.edu for details. An information meeting for the Teaching English to Speakers of Other Languages (TESOL) program will be held November 14th at 6 p.m. in the Welcome Center (Wynn - Room 104). Contact Graduate and Professional Admissions for details. Online information meetings for the Master of Business Administration and Master of Business Management programs will be held November 14th at 12 p.m. and 6 p.m. Contact Graduate and Professional Admissions at (626) 815-4570 for details. An information meeting for the M.S. in Applied Statistics and Analytics program will be held November 13th at 7 p.m. in the Felix Event Center VIP Room. Contact Graduate and Professional Admissions at (626) 815-4570 for more information. An information meeting for the M.S. 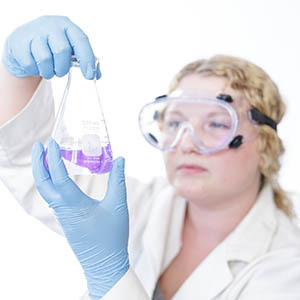 in Biotechnology program will be held on November 13th at 7 p.m. in the Segerstrom Science Center (Room 141). 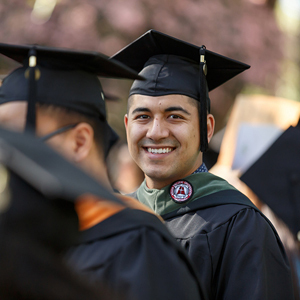 Contact Graduate and Professional Admissions at gpc@apu.edu or (626) 815-4570 for more information. An information meeting for the M.S. in Research Psychology and Data Analysis program will be held November 12th at 7 p.m. in the Wynn Academic Center (Room 102). Contact Graduate and Professional Admissions for more information. Two online information meetings for the B.A. in Psychology program will be held on November 5th at 12 p.m. and 6 p.m. Contact the Graduate and Professional Center for more information. M-Th 8:30 a.m. - 6:30 p.m., Fr 9:30 a.m. - 4:30 p.m. The College of the Arts will be hosting a Preview Night on November 5th at 6 p.m. in the Duke Art Gallery. Contact Graduate and Professional Admissions at gpc@apu.edu or (626) 815-4570 for more information and to RSVP. Fall 2 classes begin today. 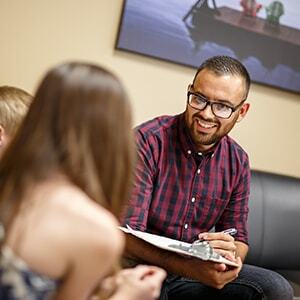 Enroll now on the APU Mobile app or contact the Graduate and Professional Center for assistance. M-Th 8:30 a.m. - 6:30 p.m., Fr 9:30 a.m. - 4:30 p.m.
Do I Need to Attend Graduate Degree Information Meetings? If you’re interested in continuing your education, it’s a good idea to attend a graduate degree information meeting. Here are some helpful insights. 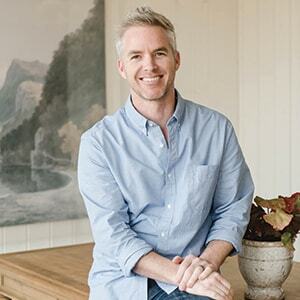 From practical to posh, home designers often create living spaces based on current trends and common appeal, but Brett Phillips, M.A. ’08, and his wife, Kara, favor philosophy over the latest fashions. 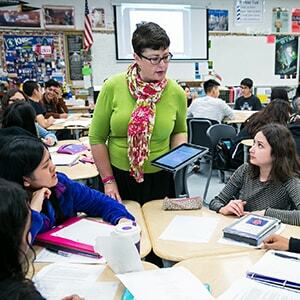 The CBEST and CSET exams are common assessments for those preparing to teach in California. Effective CSET and CBEST prep will make sure you’re ready to succeed on exam day. An information meeting for the M.S. in Applied Statistics and Analytics program will be held October 23rd at 7 p.m. in the Felix Event Center VIP Room. Contact Graduate and Professional Admissions at (626) 815-4570 for more information. 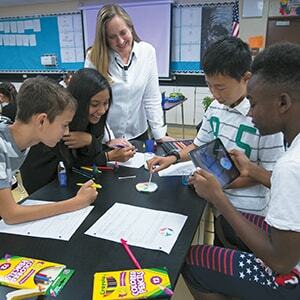 The decision to pursue a teaching credential and enter the classroom is a noble calling, but which credential is right for you? 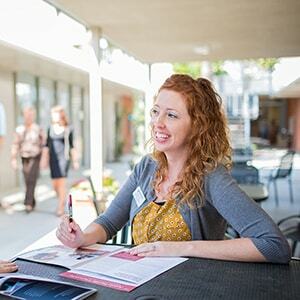 The regional campus experience at Azusa Pacific University spans seven locations throughout Southern California! Here’s how you could benefit. Fall 2 Registration is Open. Enroll Today! Registration for Fall 2 classes is open. Enroll now on the APU Mobile app or contact the Graduate and Professional Center for assistance. M-Th 8:30 a.m. - 6:30 p.m., Fr 9:30 a.m. - 4:30 p.m. 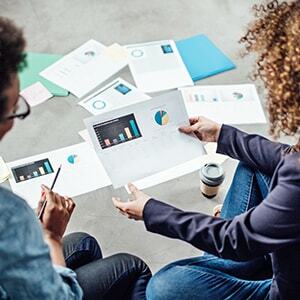 While it may sound like a niche graduate degree, a master’s in applied statistics is extremely versatile and can lead to a wide range of opportunities. What Are Low-Residency Master’s Programs? Wondering what low-residency master’s programs are, and the kind of experiences they entail? Learn more about the benefits of this program format. Focusing on student mental health has become just as essential in K-12 schools as teaching youth their current grade-level curriculum. 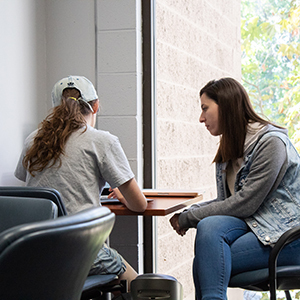 Earning a master’s degree can help you advance your social work career and further your impact on the people and communities you serve. An MPH degree (Master of Public Health) can take you far. It gives you the ability to change the world and help communities live a healthier tomorrow. With a master’s degree in research psychology, you’ll be armed with advanced skills that can prepare you for a wide variety of careers. 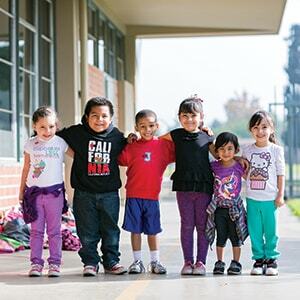 Enrolling in teacher training at Azusa Pacific University is about more than just earning a degree. Read on to learn about the trends driving big changes. 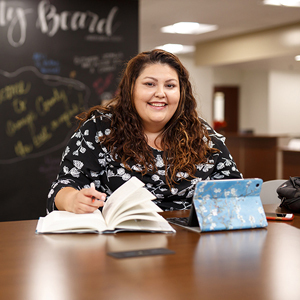 For information about tuition discounts, scholarships, and financial aid, contact the Office of Graduate and Professional Student Financial Services at (626) 815-4570 or gpc@apu.edu. M-Th 8:30 a.m. - 6:30 p.m., Fr 9:30 a.m. - 4:30 p.m.
Financial aid for graduate school is available—and it can help you afford your higher education degree. Here’s a rundown of what you need to know. 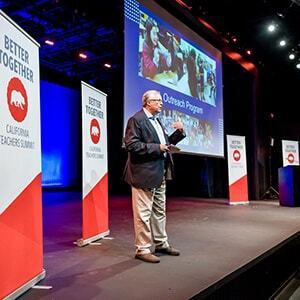 Thanks to the annual Better Together: California Teachers Summit, teachers are taking the lead in learning, growing, and strengthening their craft. Registration for Fall 2018 classes is now open. Enroll now on the APU Mobile app or contact the Graduate and Professional Center at (626) 815-4570 or gpc@apu.edu for assistance. 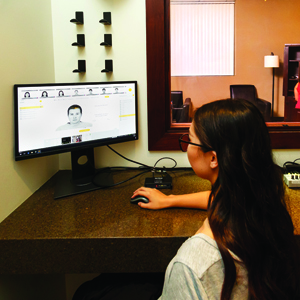 Business hours: M-Th 8:30 a.m. - 6:30 p.m., Fr 9:30 a.m. - 4:30 p.m.
APU has received a $3 million donation to help fund the expansion of its Doctor of Physical Therapy (DPT) program, including a new facility on West Campus. Not sure how to pay for your child’s college degree? Direct student loans can help your child afford college, and they come with flexible payment options. 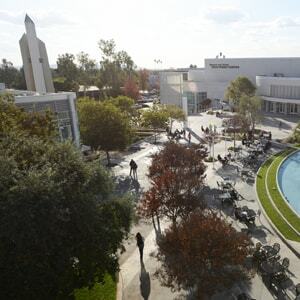 Azusa Pacific University is the “Best University in the San Gabriel Valley,” according to a recent poll conducted by the Southern California News Group. 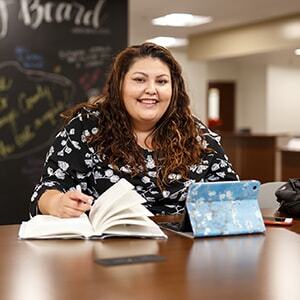 As a designated Hispanic-Serving Institution, APU strives to help more Hispanic students attend and graduate college. Azusa Pacific President Jon R. Wallace, DBA, announced today his plan to step away from his position on June 30, 2019. He has accepted an invitation by the Board of Trustees to continue his APU service in a new role¬–as president emeritus. 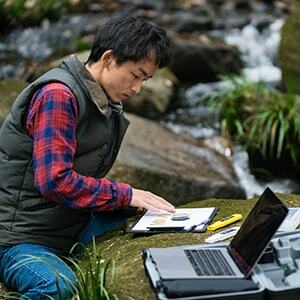 Lauren Rietkerk ‘17, a student in Azusa Pacific’s Master of Science in Biotechnology program, hopes to align her education with her calling to help solve the world’s conservation crisis.